This is EXCITING news for Defiance, Ohio and Defiance County on economic development! The approximately $4.5 million project will extend Commerce Drive to Domersville Road, as well as develop water and sewer services down the extension for future industries and corporations. The vision is to have $100 million in new developments and 2,000 new jobs at the business park. ProMedica stepped in and created a funding mechanism for the project and creating a great private-public membership. The 79.3 acres of land was purchased from George Masterson. The city issued $2 million in bonds for the land, with the bonds purchased by ProMedica. 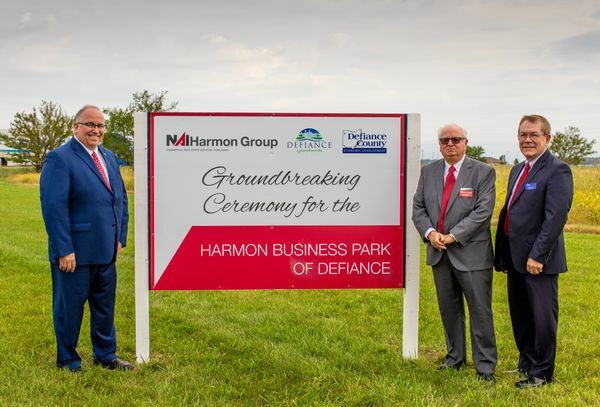 The land was transferred through the Community Improvement Corporation of Defiance County to the Harmon Group, a leading independent commercial real estate brokerage and property management firm. The NAI Harmon Group will start to promote and market the business park immediately. Their method of development is to develop an architectural engineering plan to encourage and recruit businesses from all over the country and world. They will advertise and promote the project and work with Regional Growth Partnership and Jobs Ohio to bring not only additional funding, but leads for businesses.